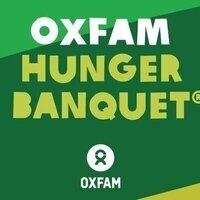 The Oxfam Hunger Banquet event is an interactive community event designed to bring hunger and poverty issues to life. This event is a metaphor for how food and other resources are inequitably distributed in the world. This is shown with the catering of Chipotle!